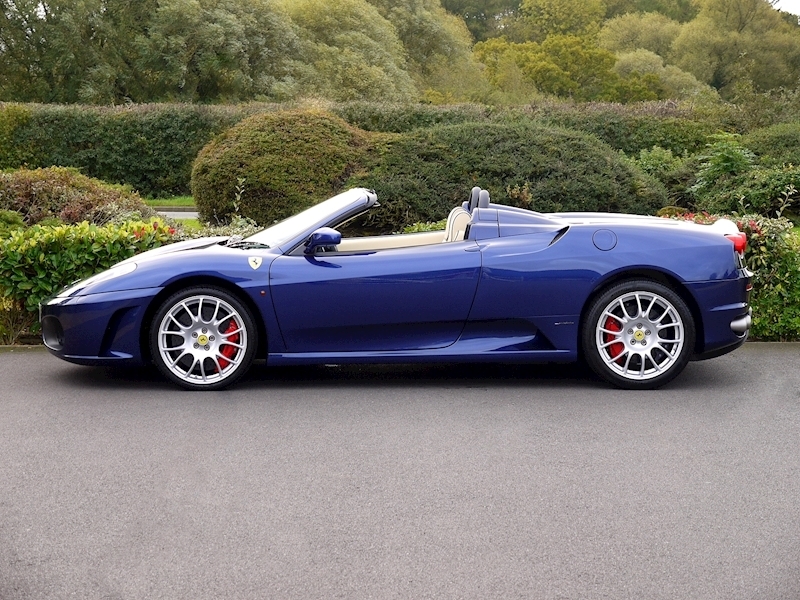 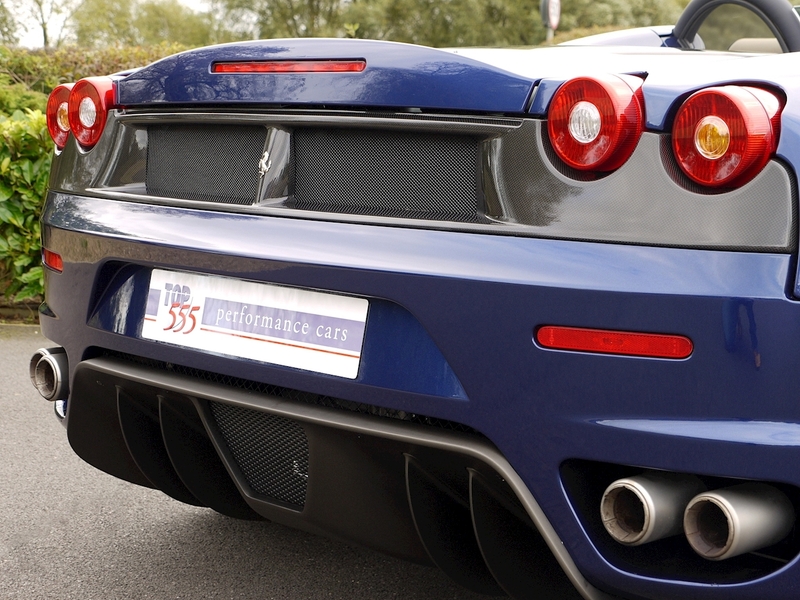 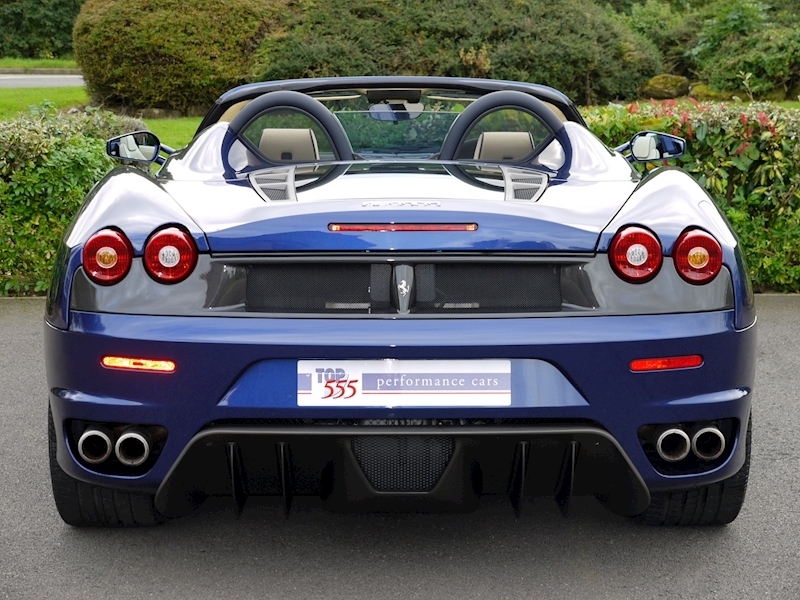 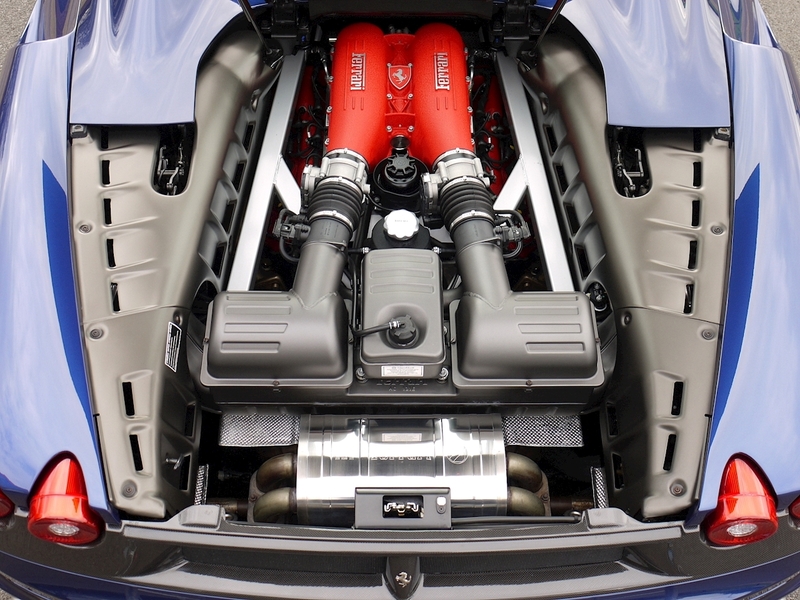 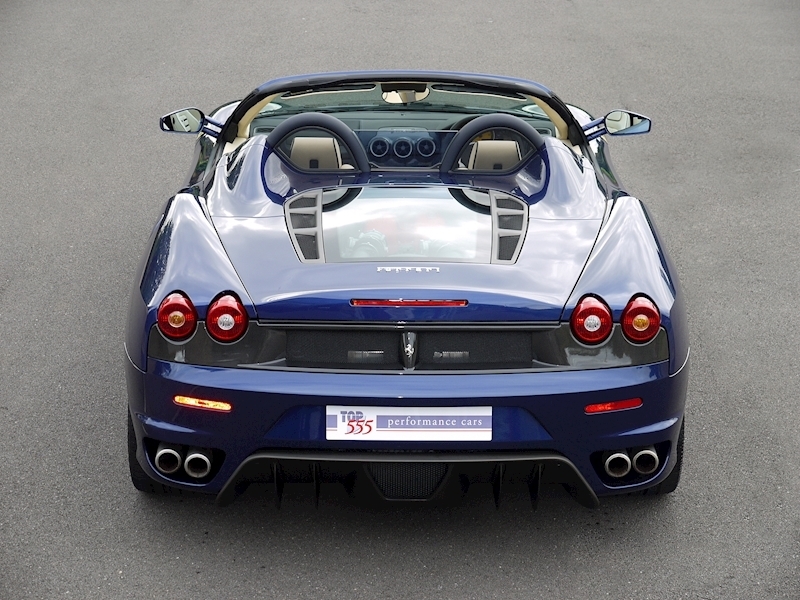 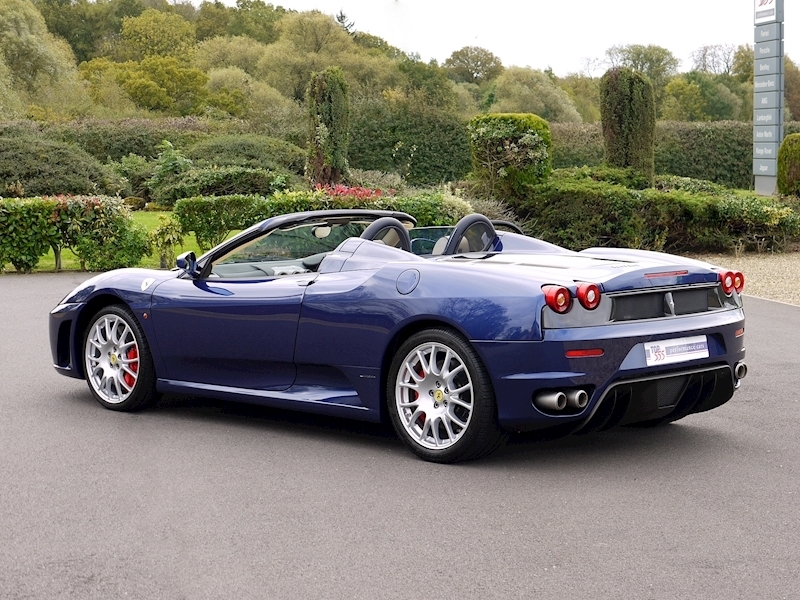 A year after the Coupe variant came this, the F430 Spider. 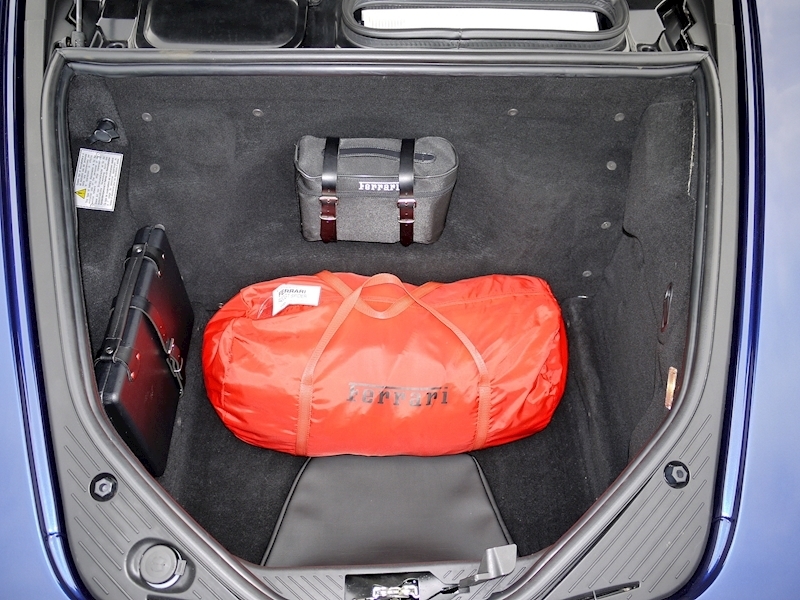 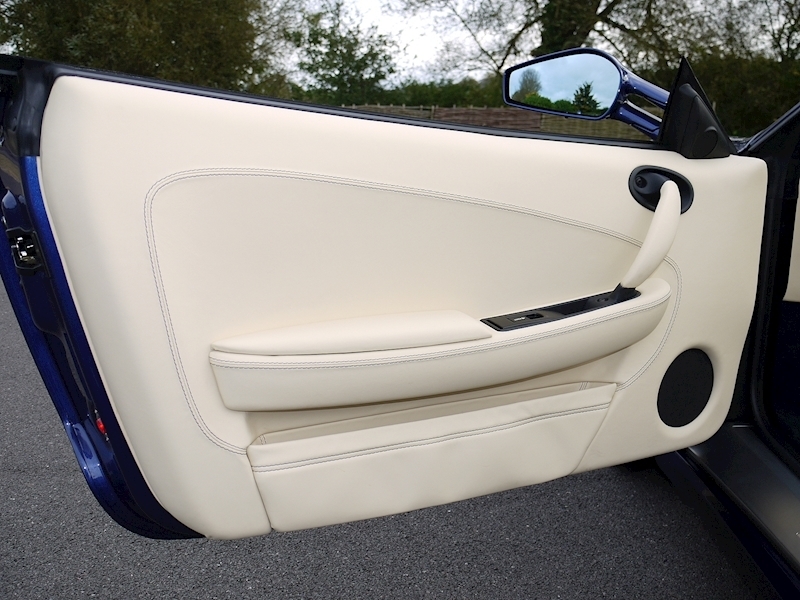 With a convertible fabric roof that took less than 20 seconds to go down and neatly folded into the space between the 2 rollbars. 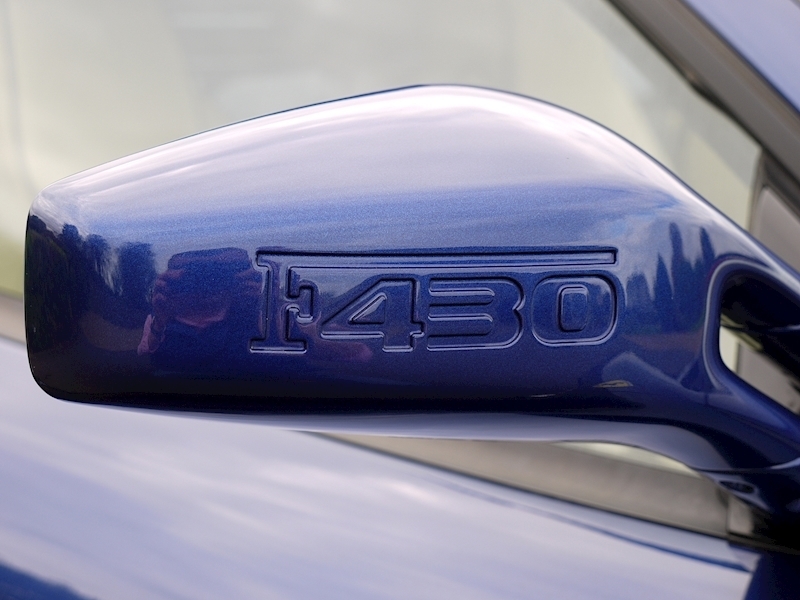 The power and performance matched that of the Coupe and Pininfarina's design still featured that beautiful large rear glass engine cover to allow admiration for the car's beautiful V8 engine. 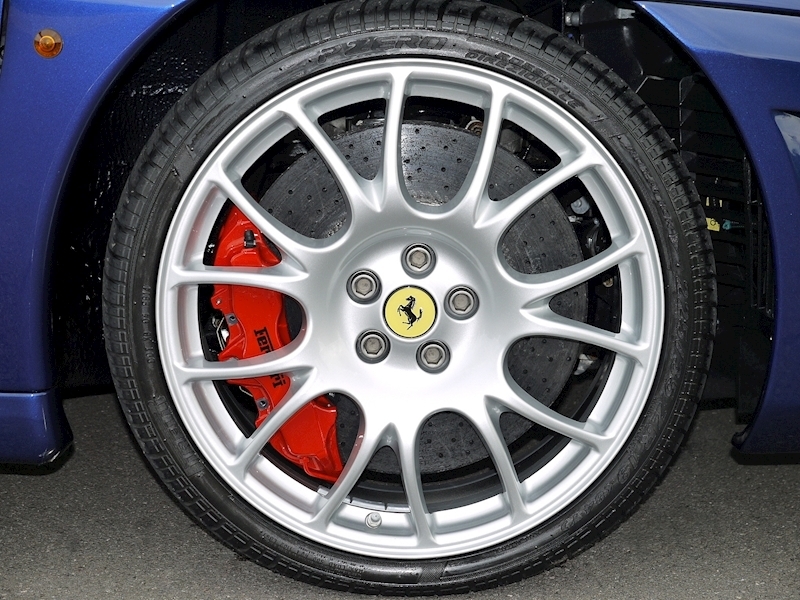 Carbon Ceramic Brake System. 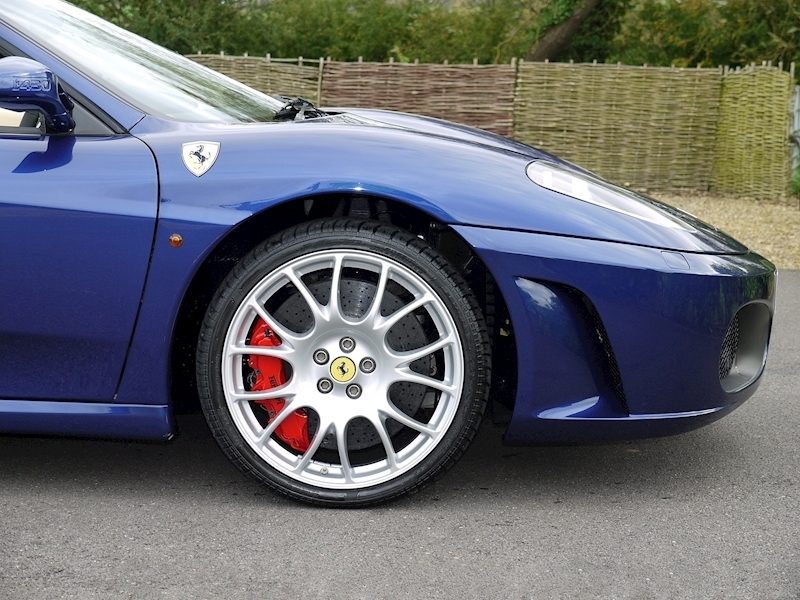 Challenge Stradale Style Wheel Rims. 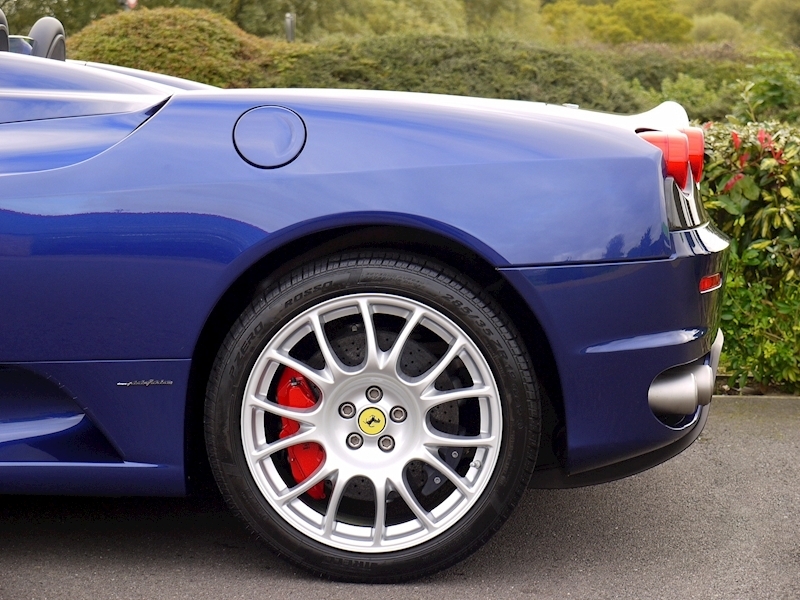 Brake Calipers in Rosso. 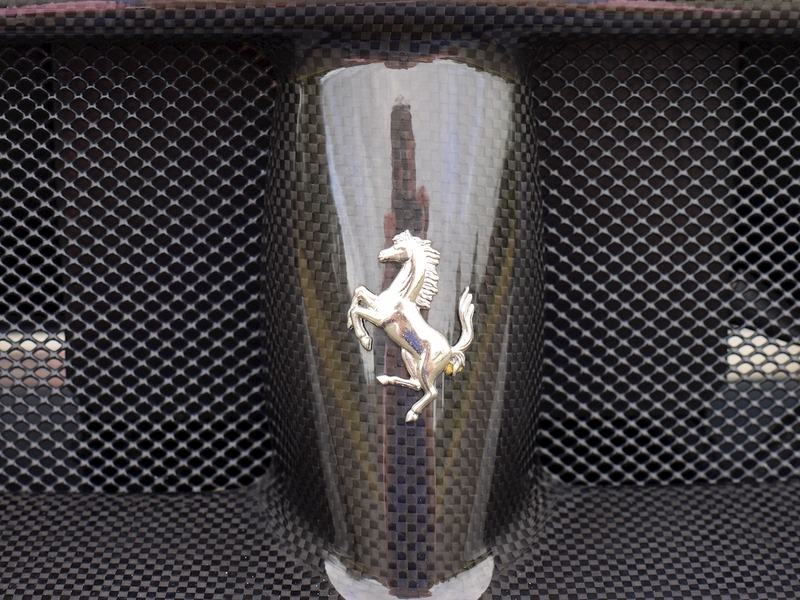 Challenge Style Rear Segment in Carbon Fibre. 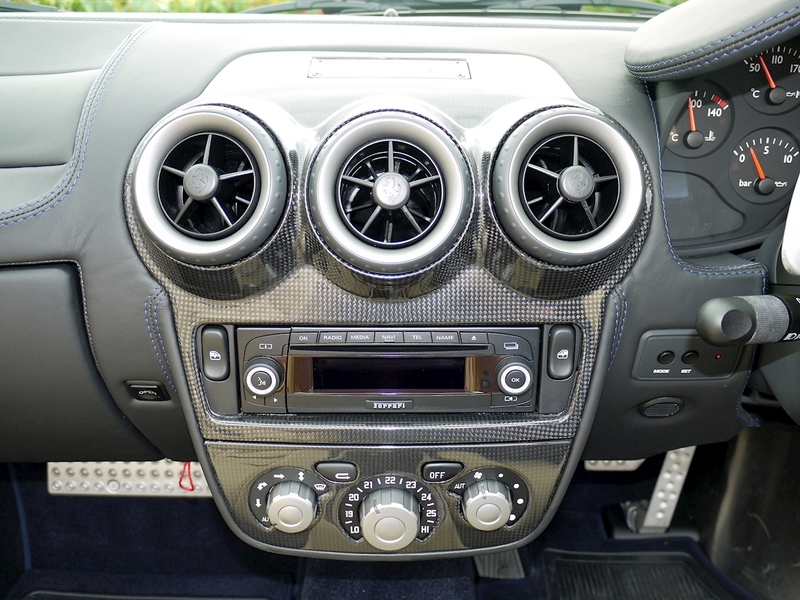 Carbon Fibre Interior Dash Inserts and Trim. 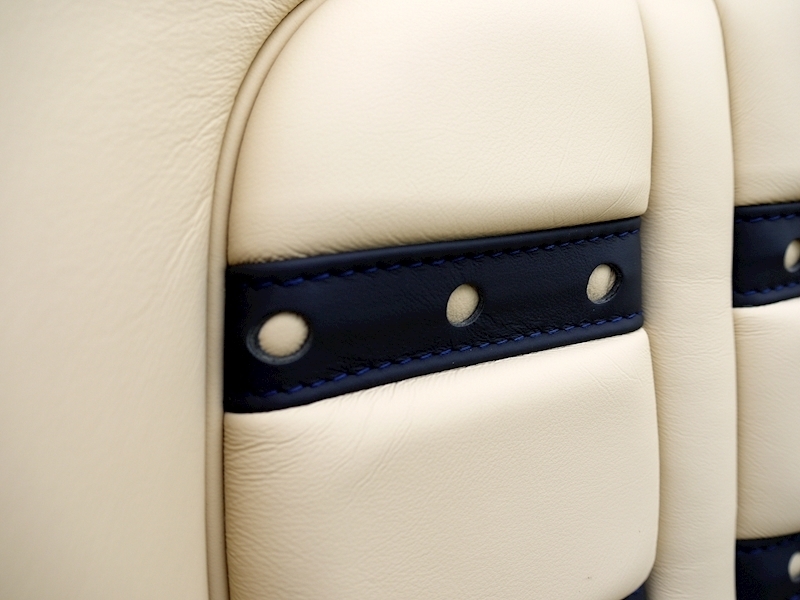 "Daytona" Style Seat Trim. 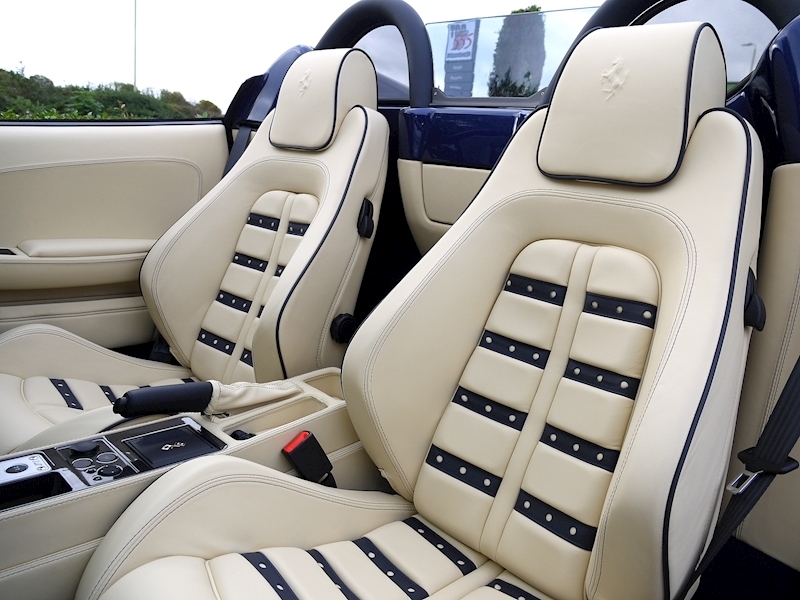 Blu Scuro Inserts to "Daytona" Style Seats. 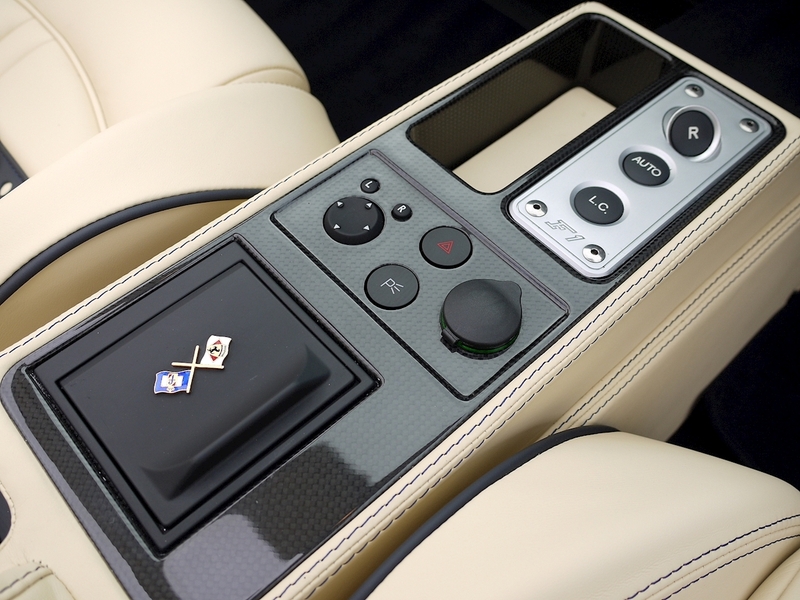 Electrically Operated Seats. 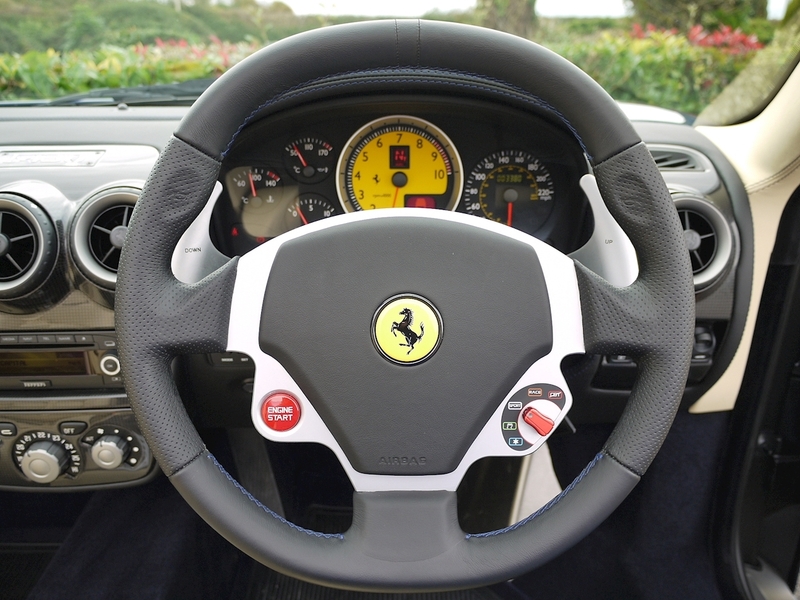 Scuderia Ferrari Wingshield Badges. 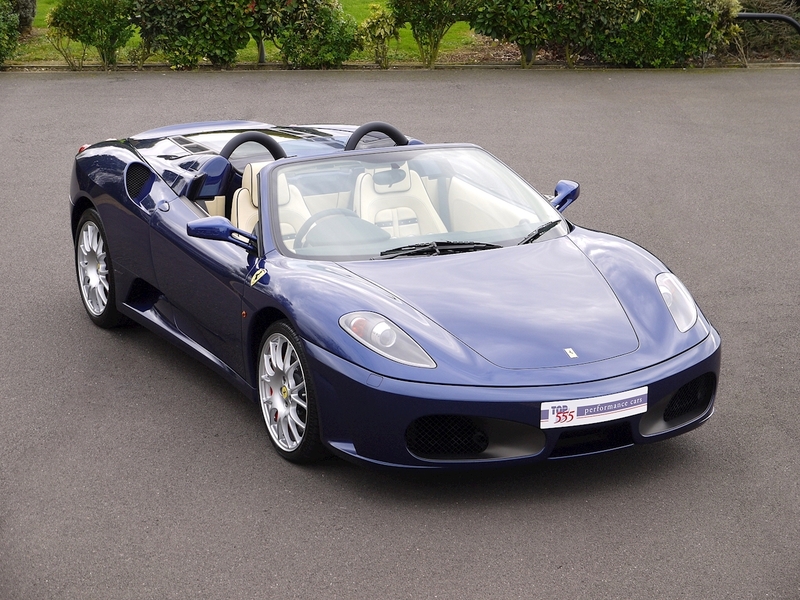 Colour upon Request for Roll Bar in Blu Scuro. 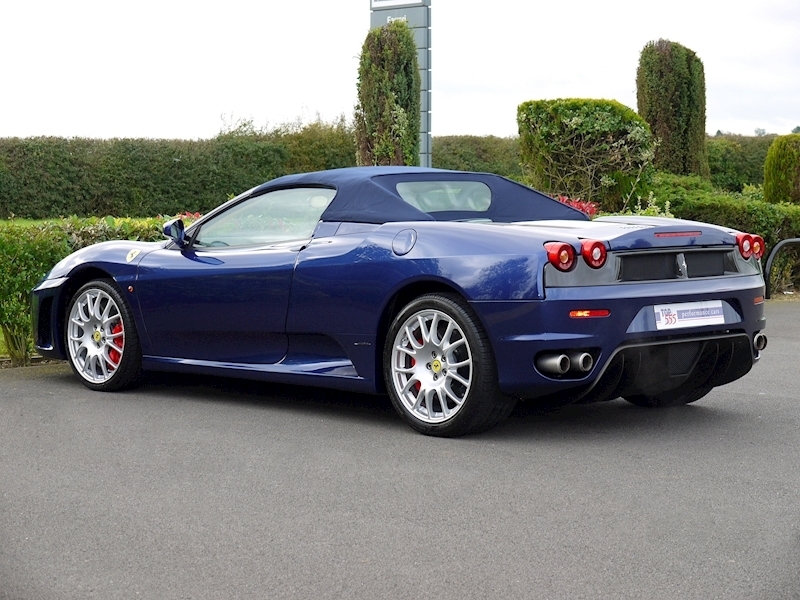 Blu Coloured Hood. 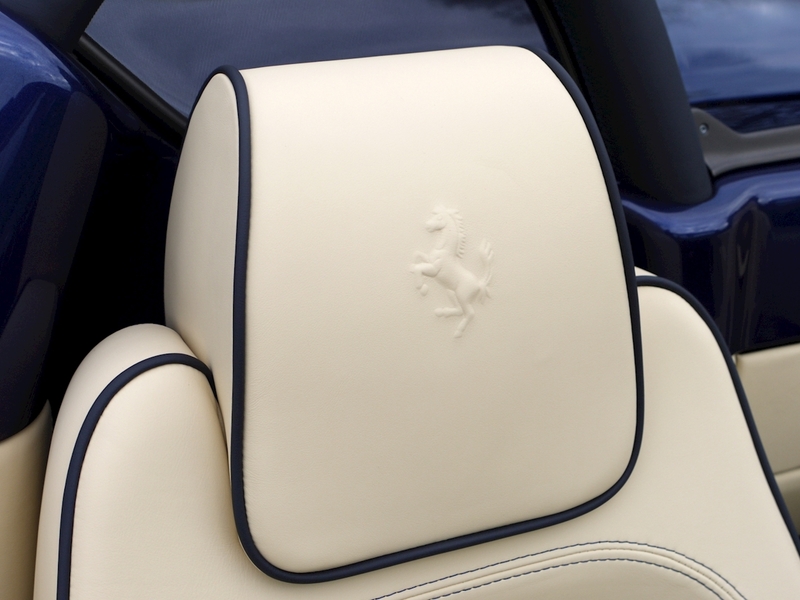 Colour Upon Request for Standard Stitching in Blu. Colour upon Request for Piping in Blu. 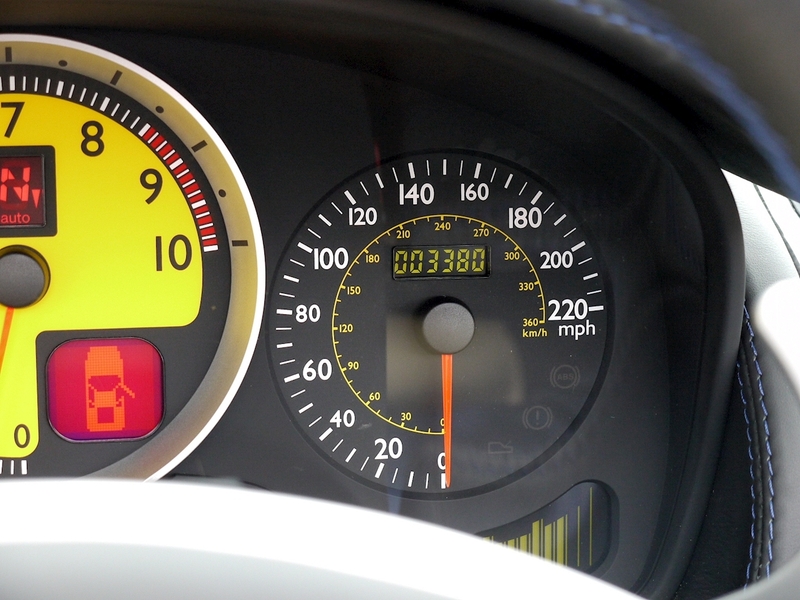 Yellow Rev Dial. 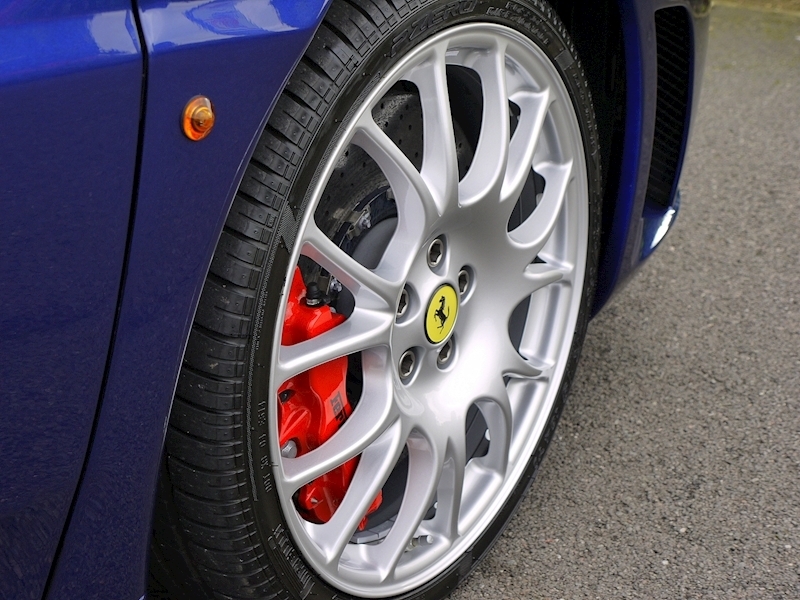 Pirelli Tyres (Original). 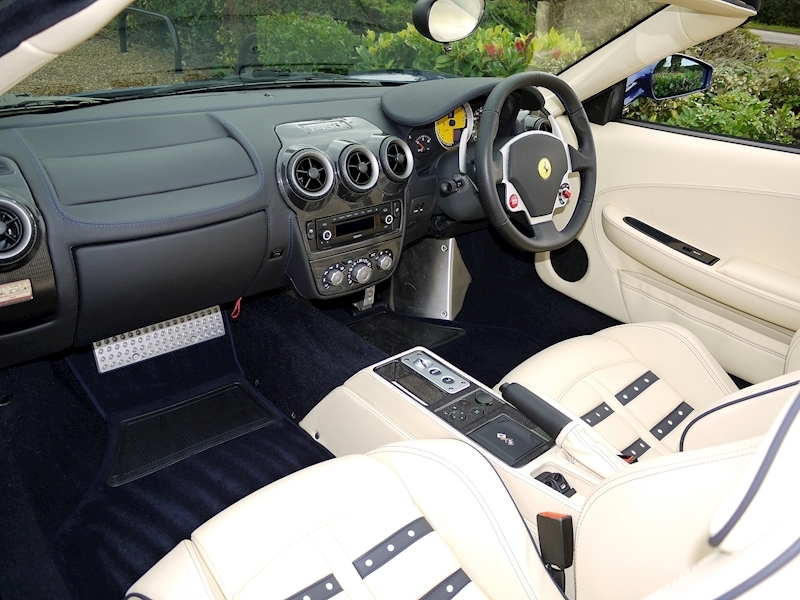 Ferrari Indoor Car Cover and Battery Conditioner Both Present. 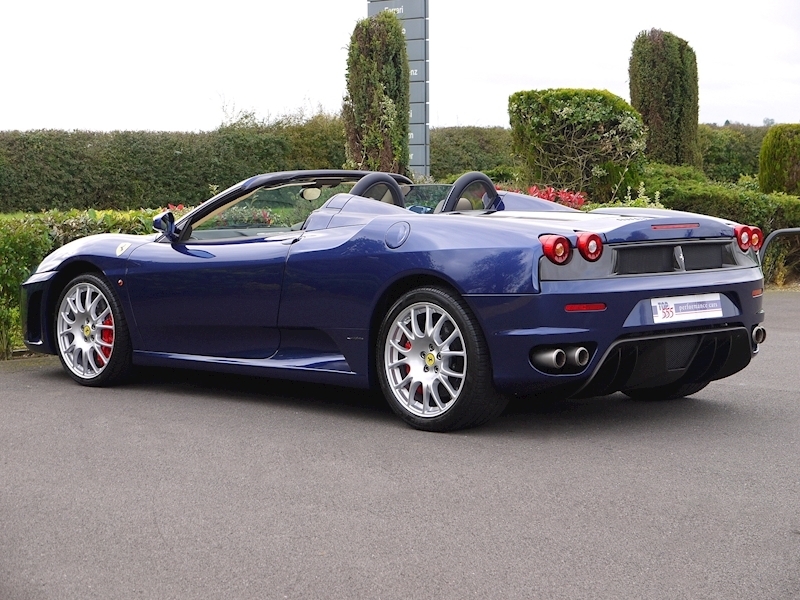 Comes with a Full and Impeccable Ferrari Main Dealer Service History. 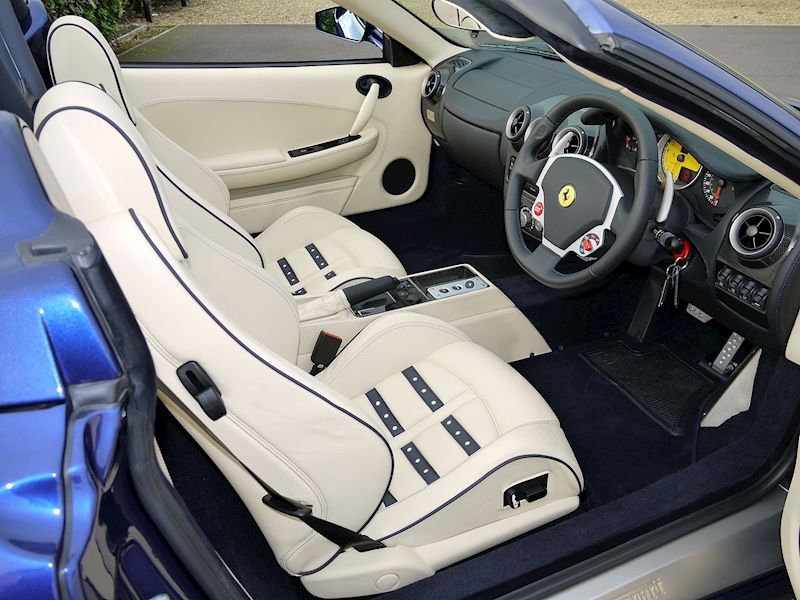 This Car Has Been Serviced Every Single Year Since New without Fail Solely by Graypaul Ferrari. 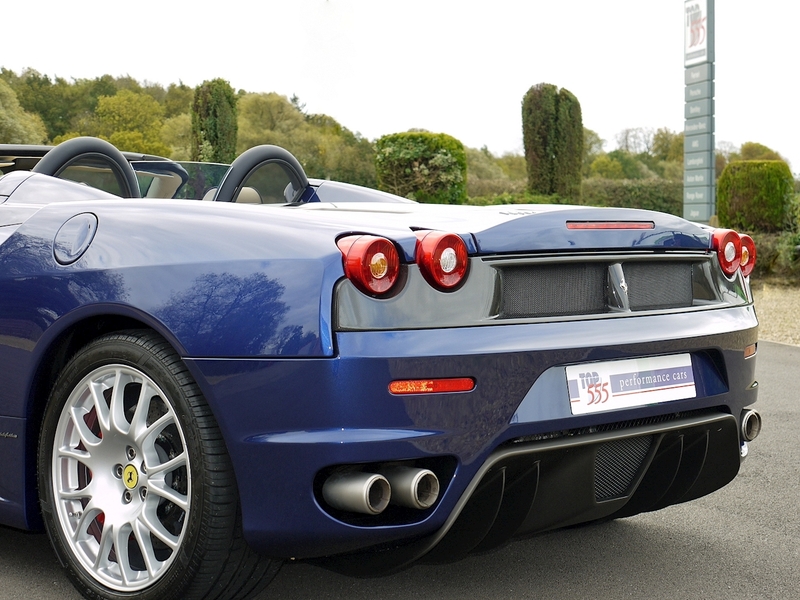 All Service Invoices are Present As are All Previous Tax Discs and Even the Original Bill of Sale. Quite simply a time warp example! 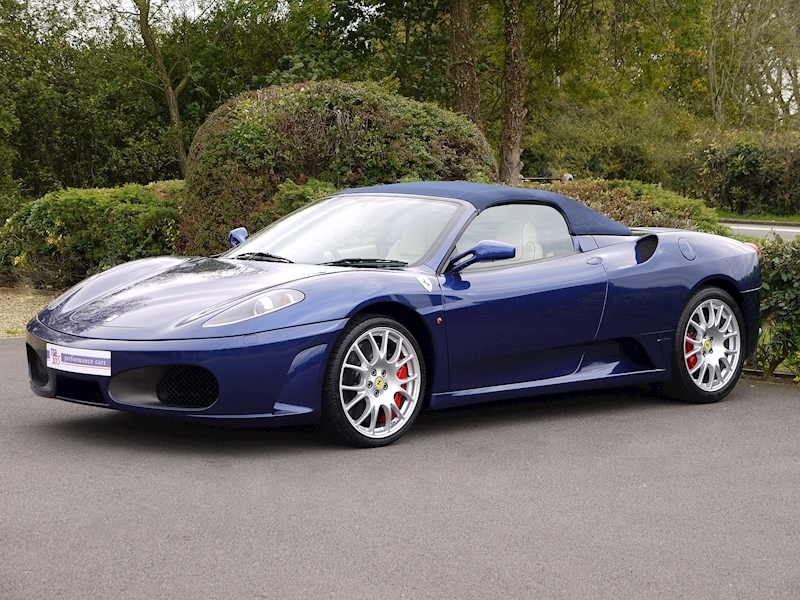 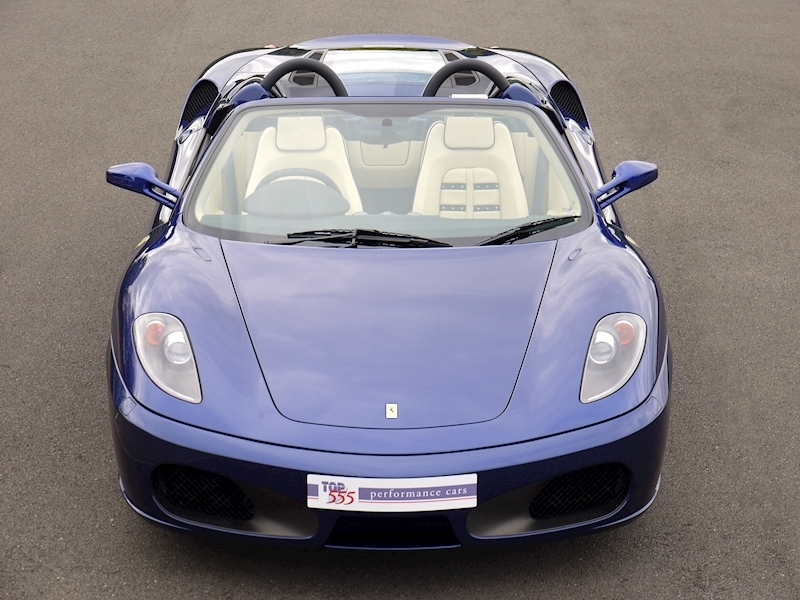 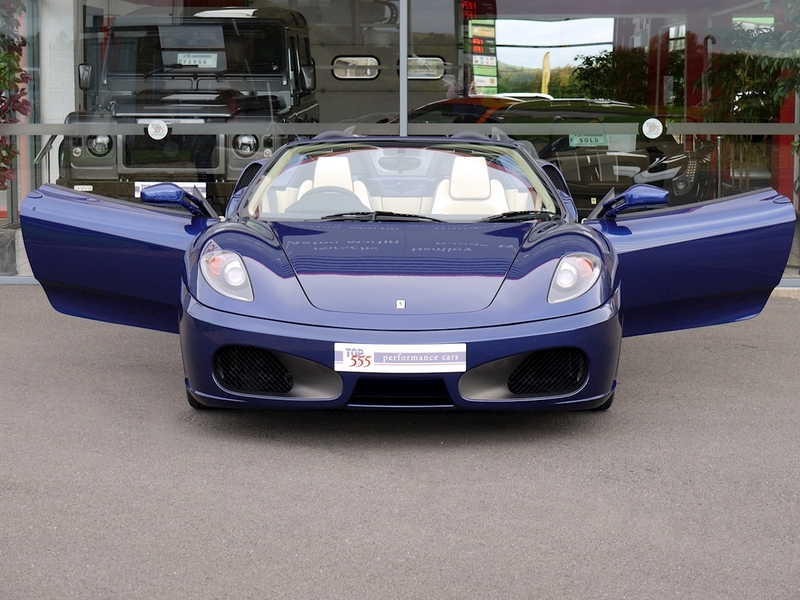 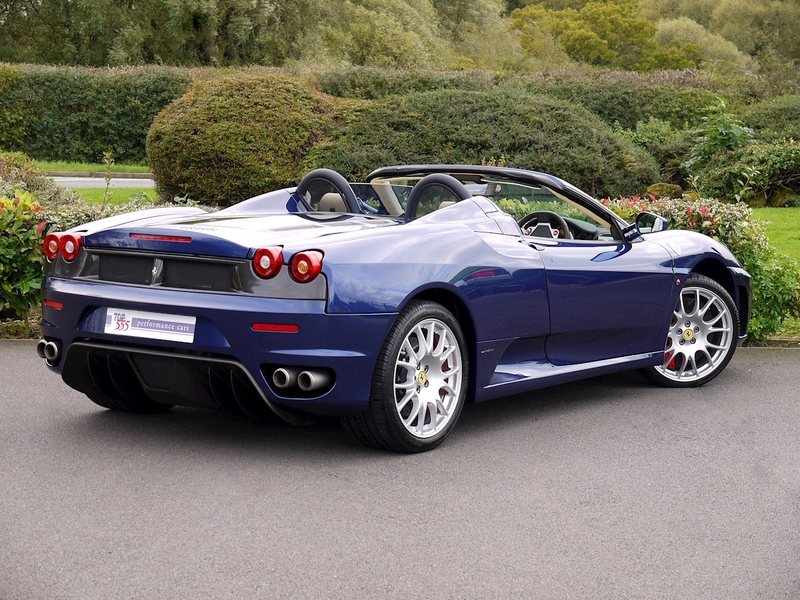 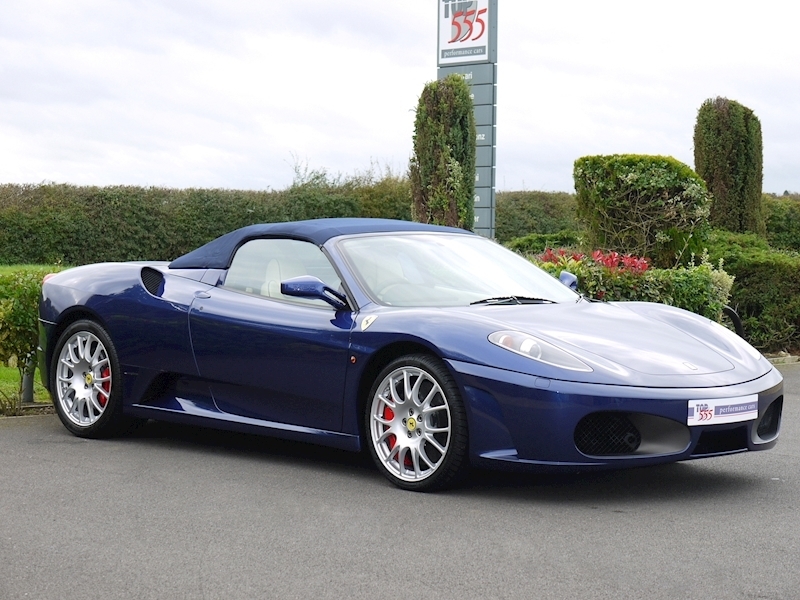 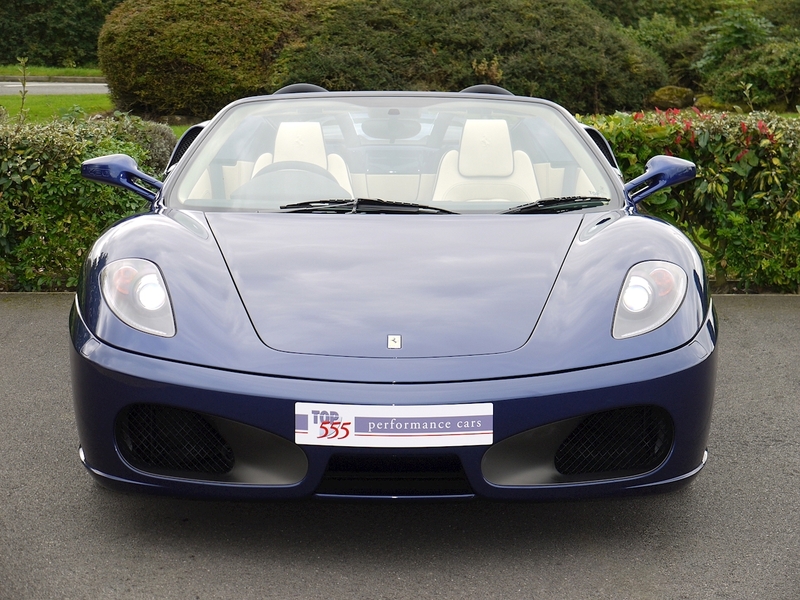 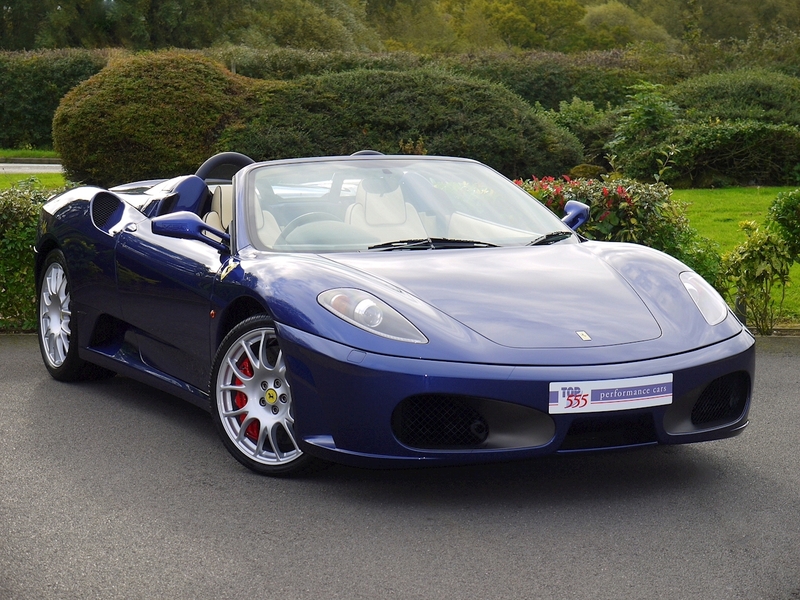 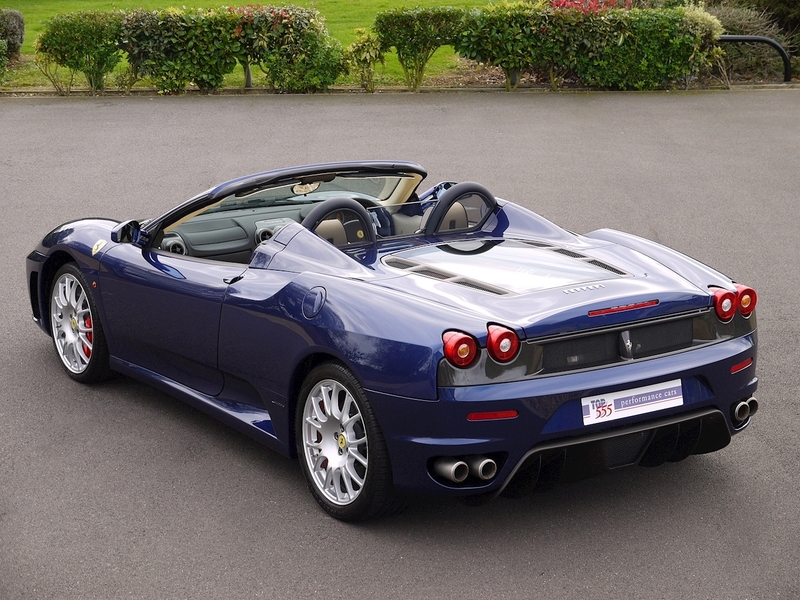 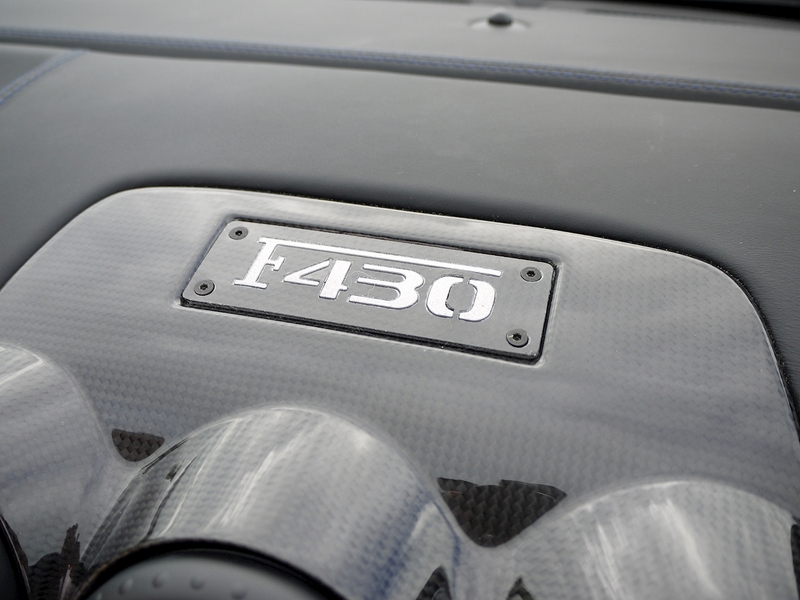 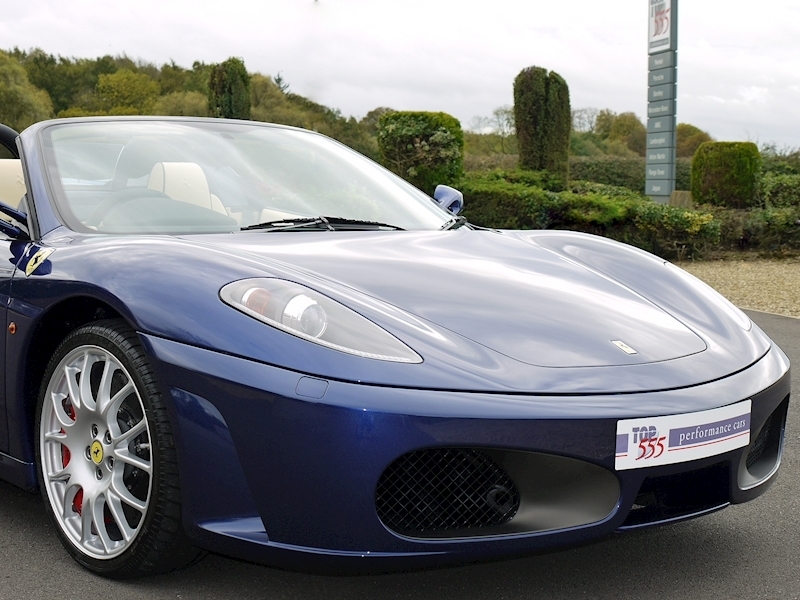 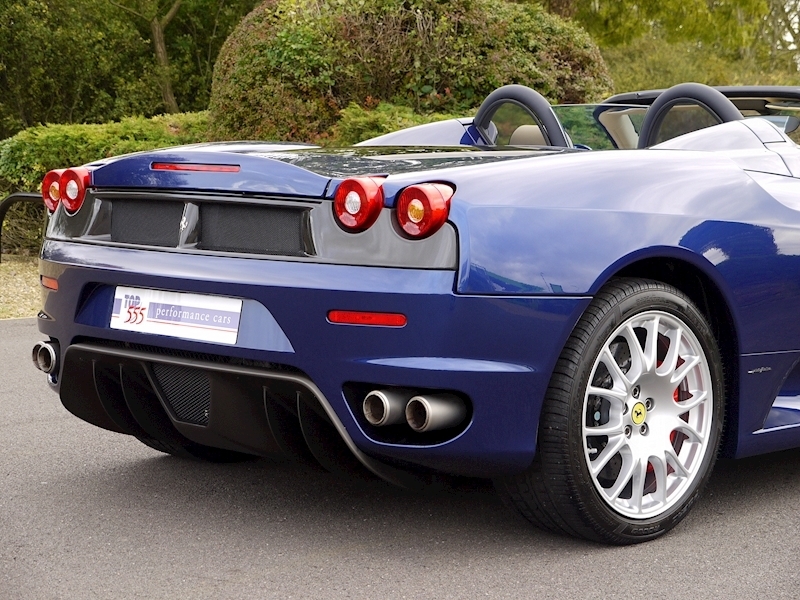 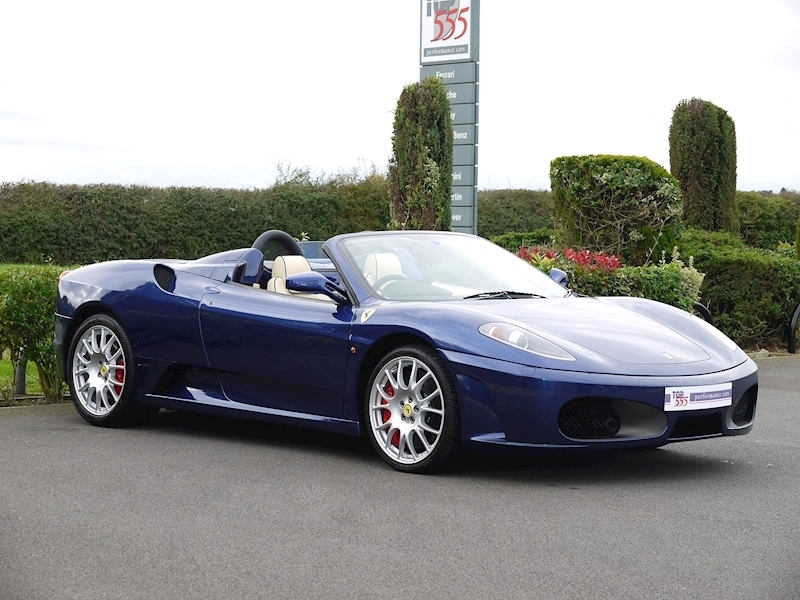 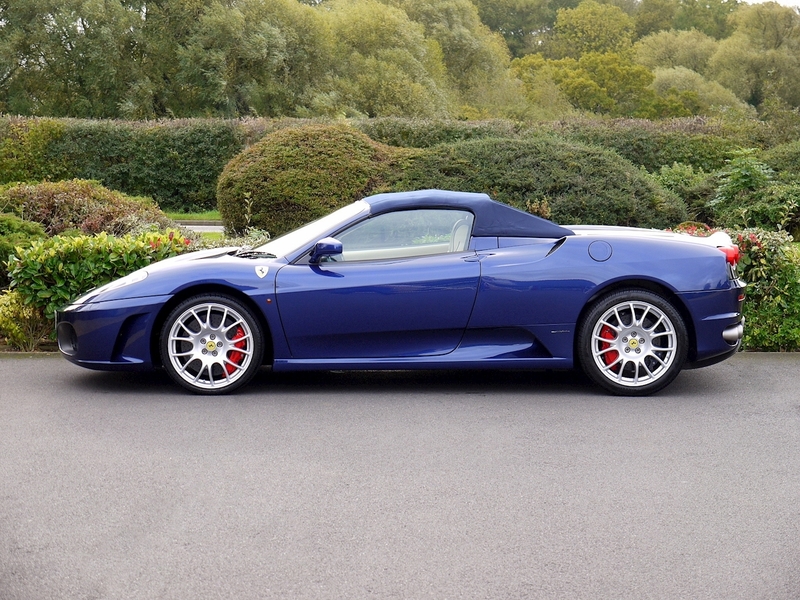 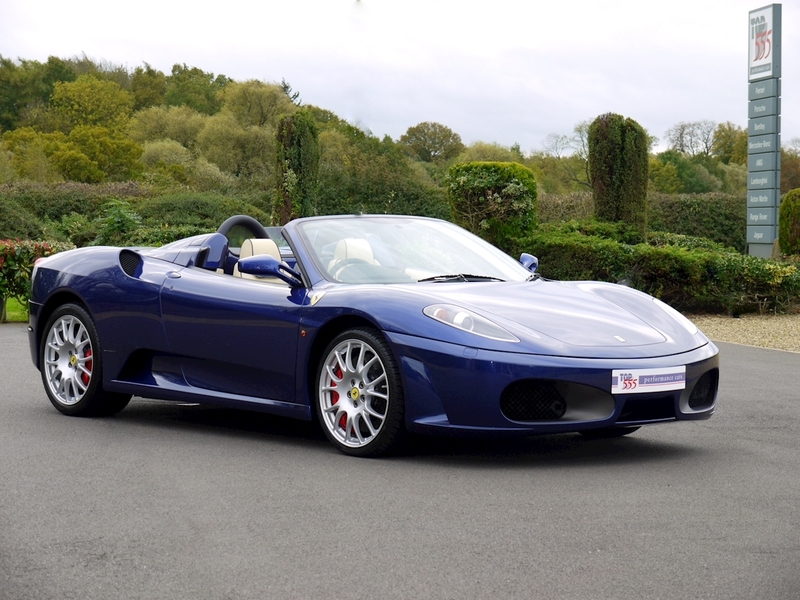 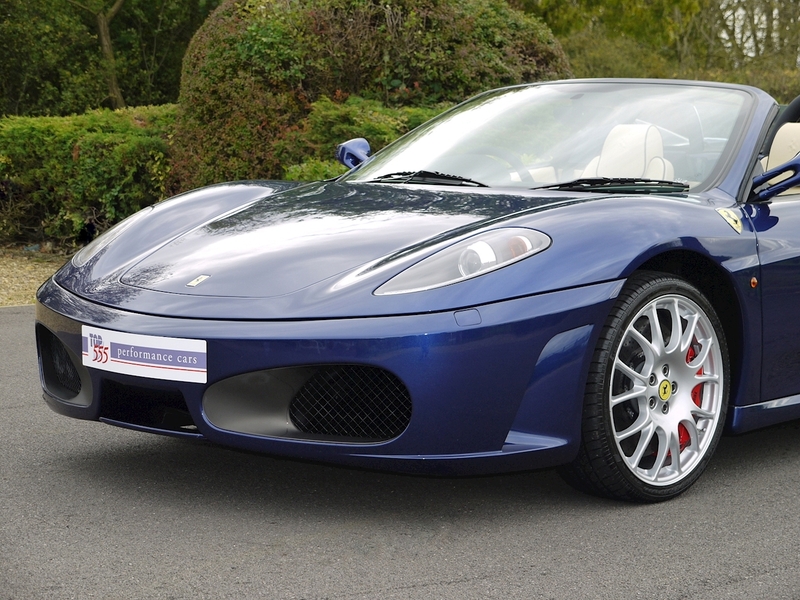 This car is completely original, unmolested and without doubt the very best you will see anywhere, we believe this to be an unrepeatable example and a fantastic opportunity to buy the best, low mileage F430 Spider F1.